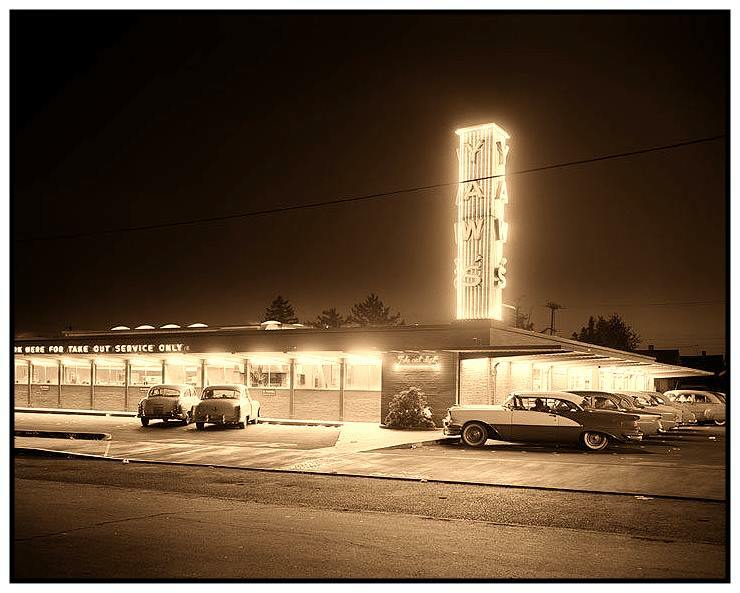 One of Oregon’s longtime eateries, Yaw’s Top Notch, was very popular and it served several generations of Portlanders. W.P. and Grace Yaw opened Yaw’s Top Notch Restaurant in 1926. 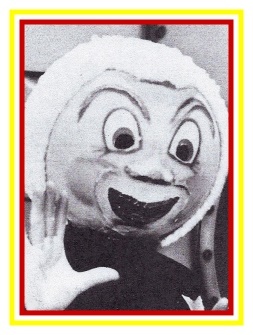 Soon thereafter Englebert Franz of Portland’s Franz Bakery developed the very first hamburger bun at the request of Yaw’s Restaurant. 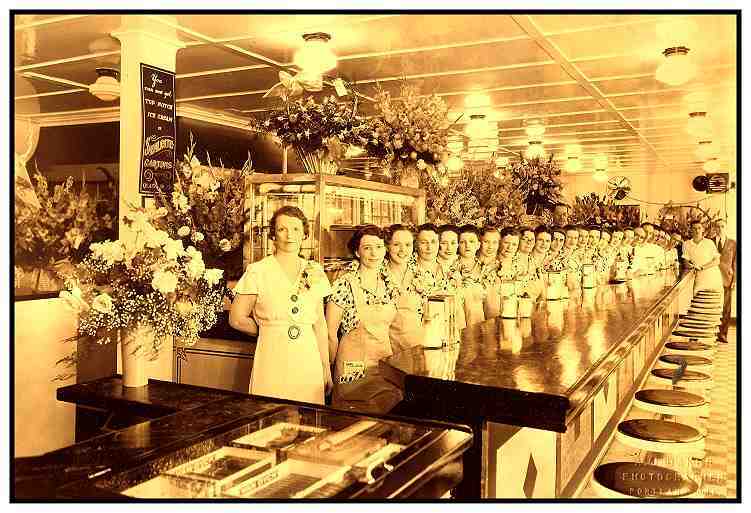 On June 6, 1936, Yaws Top Notch opened in their new location at NE 42nd and Hancock Street which was a block away from their old location. Yaw’s built their reputation on quality service and good food. This photo was taken about 1940. An interior view of Yaw’s Top Notch at 1901 NE 42nd Avenue. 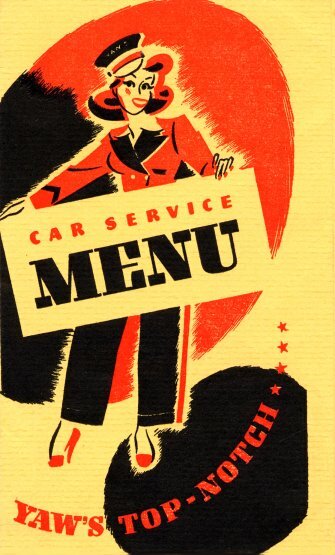 Car hop service was added in 1941 and the Take-Out Department opened in 1952. Some of the helpful Top Notch staff that greeted customers. 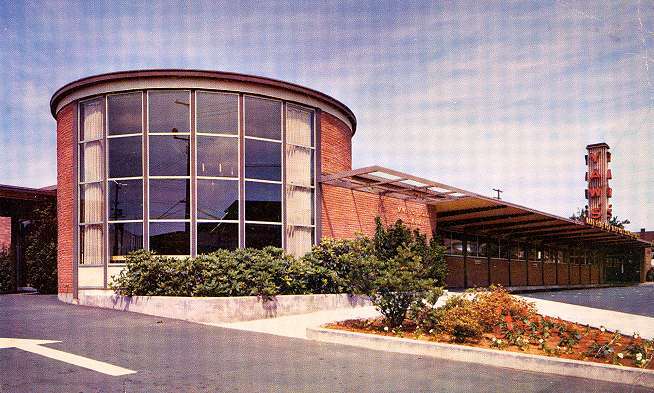 In 1955, Yaw’s opened a brand new restaurant at 2001 NE 40th Ave at Tillamook Street. Yaw’s Top Notch became the place to be or be seen for hundreds of local high school youth. When you drove up for Car Service, a waitress on roller skates would take your order. Bob Svilar the “Tootsie Roll Cop” handed out tootsie rolls to the youth who cruised into the restaurant. This view shows the main entrance and the new lobby. 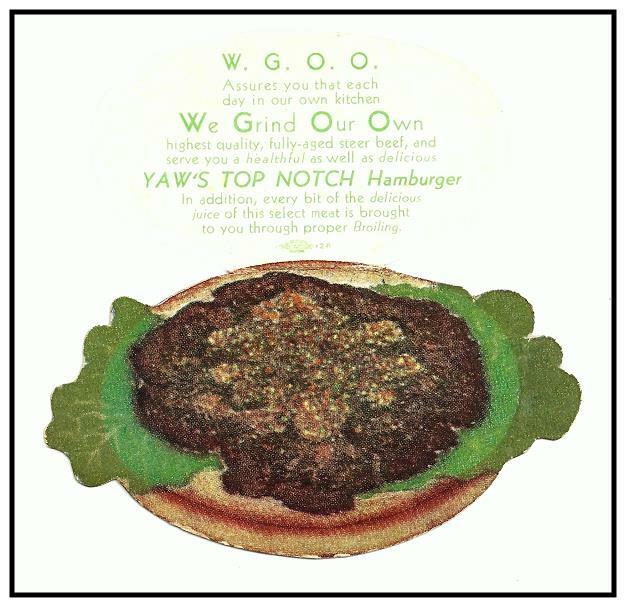 In 1977, Yaw’s celebrated 51 years of service and they calculated that they had served: 28,305,000 people, 7,337,215 pounds of hamburger on 33,620,818 buns. They sold 40,623,726 cups of coffee and 26,176,270 pieces of pie. Classic Menu Covers from Yaw’s Top Notch. 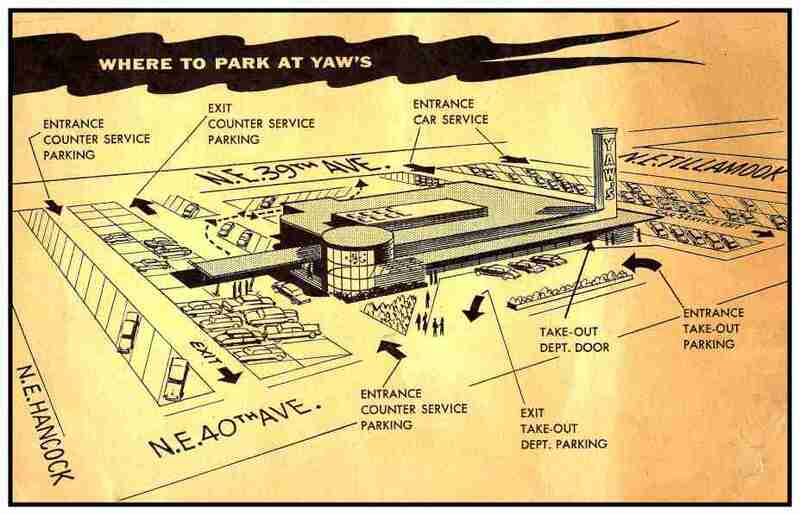 During the 1970s, Yaw’s branched out to several other locations. 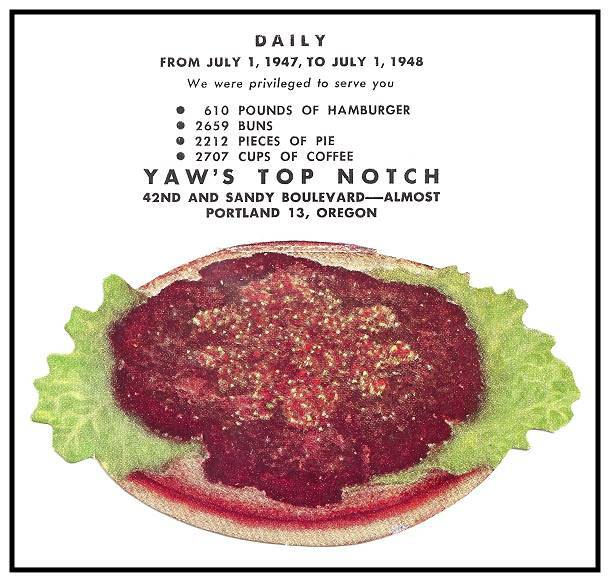 There was Yaw’s Ham-Bur-Beef Gateway at 10711 NE Halsey Street and Yaw’s Raleighwest at 6443 SW Beaverton-Hillsdale Highway near Raleigh Hills. They also opened Yaw’s Sports Page Lounge at the Raleigh Hills location. 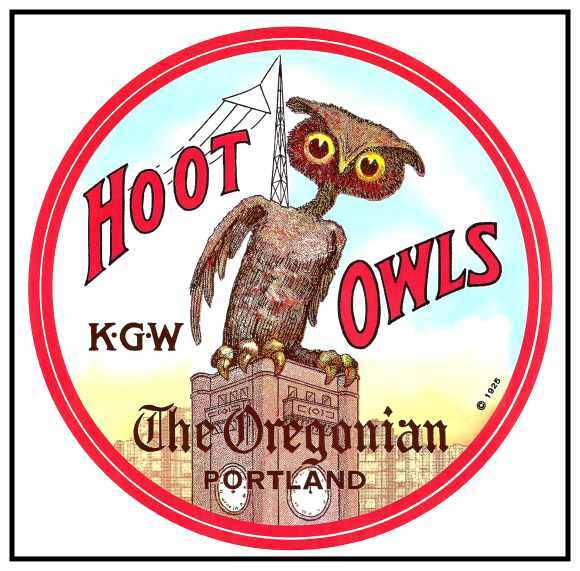 For a while, Yaw’s Restaurant and Bakery was located at NW 23rd and Burnside. 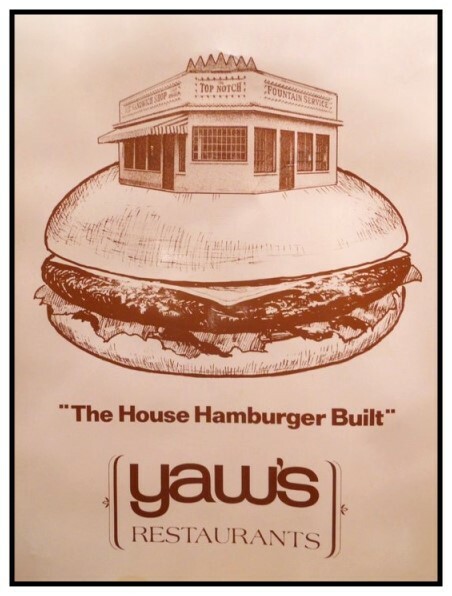 After serving quality food for 56 years, Yaw’s closed in 1982.